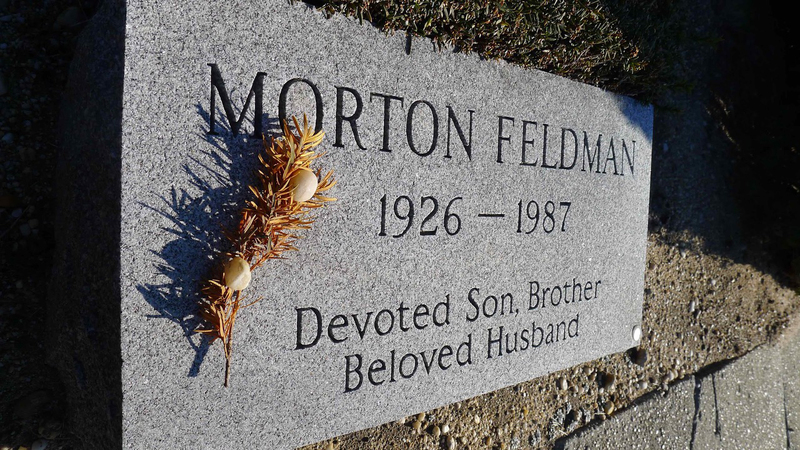 Morton Feldman died on 3 September 1987, and was buried alongside his parents in Beth Moses Jewish Cemetery, in West Babylon, Long Island, about 30 miles east of New York City. Both his parents had died just a few years earlier; his monther, Frances, in April 1984, and his father, Irving, in June 1985. 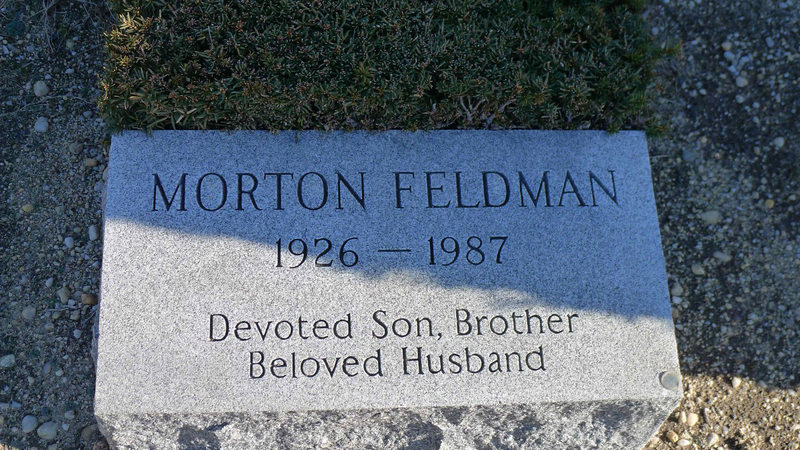 Morton was 61 when he died. His mother and father were 86 and 91 respectively. 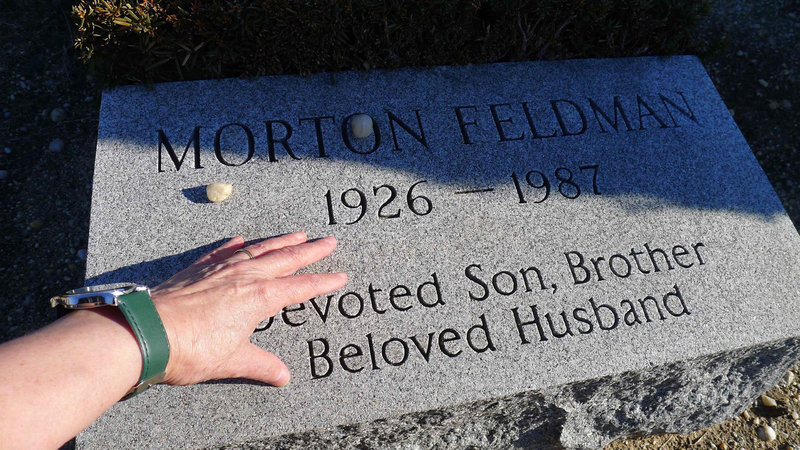 In December 2016, Zahra Partovi visited Beth Moses Cemetery in search of Morton Feldman's grave. Some of the photos she took during her visit are shown here (click any photo for larger image). She has also written the following account of her visit. 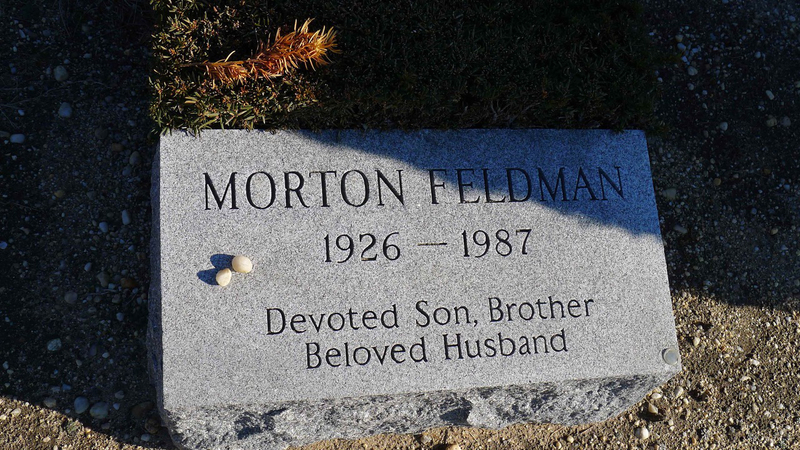 In the Jewish tradition, I laid stones on Feldman's grave - one for me and one for Chris Villars who helped by identifying the cemetery for me. 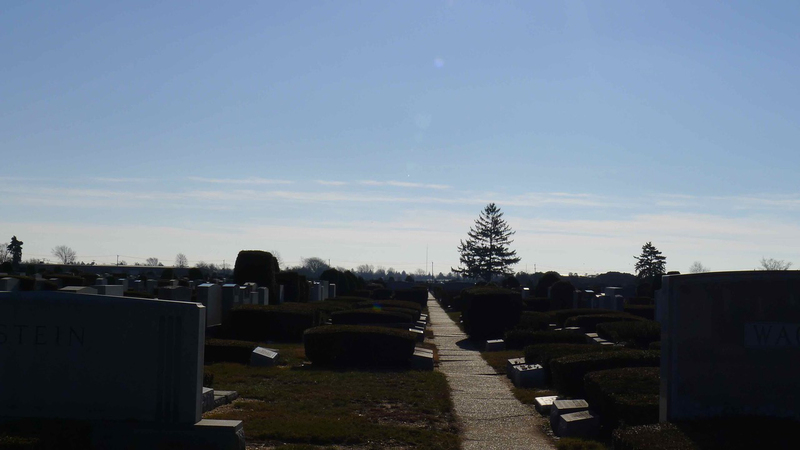 The photo with my hand on the gravestone in prayer is because in the Persian tradition, depending on the level of intimacy with the deceased person, we put from one to five fingers on the stone. When I began to offer a prayer, without even questioning, I naturally put all five fingers on the stone - and it felt right.